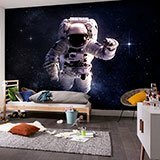 Wall mural Astronaut in space. 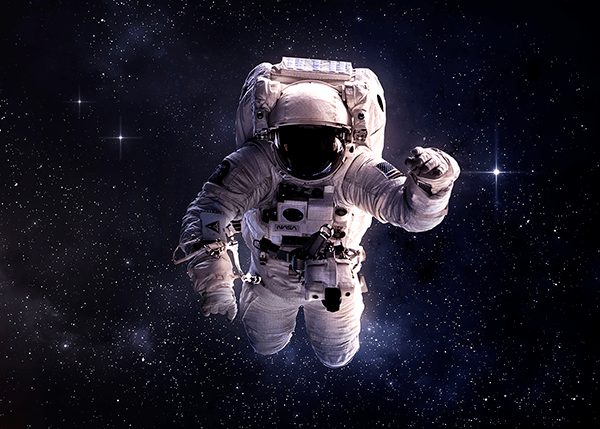 Amazing image of a NASA astronaut floating in space, surrounded by millions of stars. Fascinating scene where the cosmonaut floats because of the lack of gravity in space. 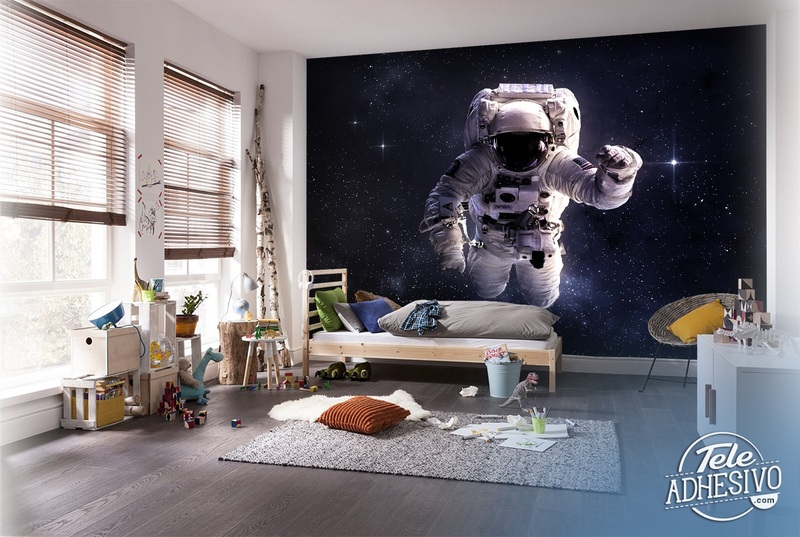 Decorate a wall of your personal space or the children's room.